Computer ethicists foresee that as information and communication technology (ICT) increasingly pervades more and more aspects of life, ethical issues increasingly will be computer-related. This view is underpinned by the assumption that progress is linear and inevitable. In accordance with this assumption, ICT is promoted as an essential component of development. This notion ignores the cultural origin of computing. Computer technology is a product of the Western worldview, and consequently, the computer revolution is experienced differently by people in different parts of the world. The computer revolution not only threatens to marginalize non-Western cultural traditions, but the Western way of life also has caused large-scale environmental damage. 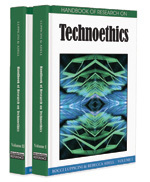 This chapter argues that computer ethics has to critically analyze the links between computing and its effects on cultural diversity and the natural environment and proposes that the Earth Charter can function as a framework for such holistic research. Computer ethics is a fast-growing and increasingly important field of practical philosophy. Deborah Johnson (1999) predicts that because the majority of moral problems will be computer ethics issues, computer ethics will cease to be a special field of ethics (Bynum, 2000). Kristina Gòrniak-Kocikowska (1996) predicts that the computer revolution will give rise to a revolution of ethics and that computer ethics will become a global ethics relevant to all areas of human life. Bynum and Rogerson (1996) and Moor (1998) suggest that the second generation of computer ethics should be an era of global information ethics. These views seem to ignore the reality that the effects of the computer revolution are experienced differently by people in different parts of the world. While for some the challenge is to keep up with the continuous new developments, others are still struggling to put in place the infrastructure that may allow them to ride the waves of the information tide and participate in its benefits. Nelson Mandela has stated that the gap between the information rich and the information poor is linked to quality of life and that, therefore, the capacity to communicate is likely to be the key human right in the 21st century (Ng’etich, 2001). However, at the beginning of the new century, the digital divide between industrialized nations and the developing world is immense. Eighty percent of worldwide Internet activity is in North America and Europe (Gandalf, 2005), although these areas represent 19% of the worldwide population. The ratio of Internet users to nonusers in developing countries is 1:750, compared to 1:35 in developed countries (Ng’etich, 2001). Although Internet usage in Africa grew by 429.8% between 2000 and 2005, it only represents 2.5% of worldwide usage, and only 2.7% of Africans are Internet users (World Internet Usage Statistics, 2005). In Africa, poverty and illiteracy prevent many people from accessing computer technology. Many believe that these hurdles are simply a question of income per capita and infrastructure (Anyian-Osigwe, 2002; Grant, Lewis, & Samoff, 1992). In the first world, computing is experienced as a crucial element in the competitive market and, therefore, also is promoted in the third world as a vital part of development. The notion that computers are the solution to bridge the gap between the rich and the poor overlooks the fact that computers are the product of a particular worldview promoting values such as efficiency, speed, and economic growth (Berman, 1992; Bowers, 2000). Computer use requires people to act and think in a prescribed unified way (Heim, 1993, as cited in Gorniak-Kocikowska, 2001, 2004; Kocikowski, 1999, as cited in Gorniak-Kocikowska, 2001, 2004). Not only is there the danger that the computer revolution will marginalize cultural traditions other than the Western one, but the Western way of life also has precipitated environmental degradation to the extent that we are now facing an environmental crisis of global warming, natural resource depletion, and accelerated species extinction.